Preventive Dentistry is to help you keep your teeth for life. It starts with regular checkups, ideally every six months. We assess your mouth, your teeth, your gums, and advise and treat where necessary, helping you to hold on to your teeth for life. Regular checkups enable us to catch dental disease early (decay and gum disease and any lesions), thus preventing greater damage. 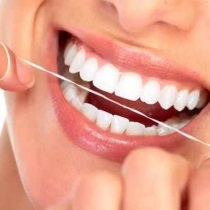 Hygiene visits which includes plaque and tartar (calculus) and stain removal, help keep your mouth clean and healthy.Oral hygiene advice and tips enable you to best maintain your mouth. We are a family practice since 1992. We encourage parents to bring their children for regular checkups from 3 years of age. By starting young, a child can associate going to the dentist as a positive experience. We reinforce a good oral hygiene routine and a healthy diet, this helps minimise the risk of dental decay and the need for further treatment. We don't want a child's first visit to be because they are in pain. We welcome nervous patients. We want to try and make your visit easier for you. We listen to your concerns and worries about your teeth, taking time and going at a pace that you are comfortable with.. In a relaxed atmosphere, we hope to help you overcome any dental fears you may have. In this modern world we are all more aware of our teeth and their appearance. 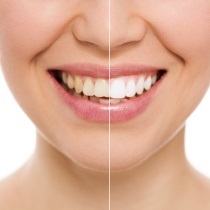 To this end we offer many treatments which will help you feel more confident in your smile.